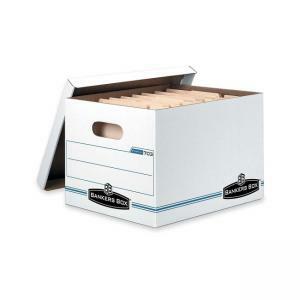 Light-duty boxes offer 30 percent greater stacking strength than other basic boxes. Design features a double bottom, double end, single-side construction for storage with or without shelving. Liftoff lid ships attached and tears off for use so no missing lids. 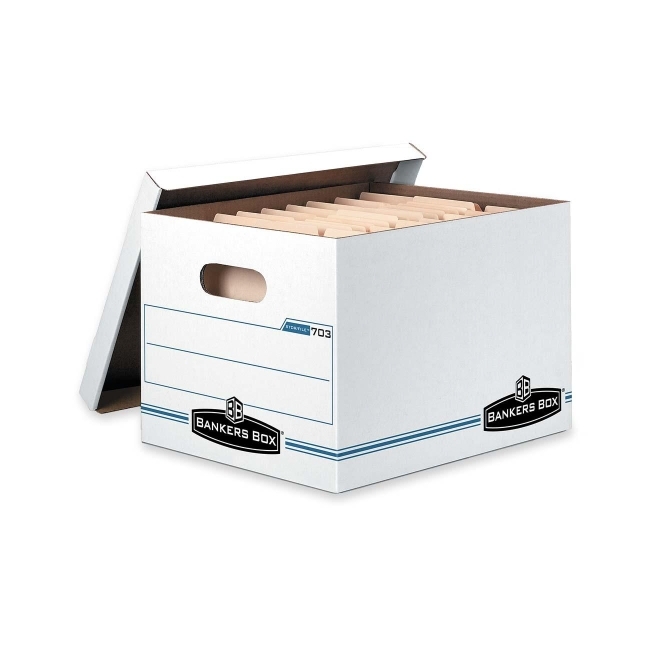 Average amount of evenly distributed weight that can be safely stacked on top of each box is 450 lb. Storage box contains 65 percent recycled material.